Note: If you enable multi-currency, you won't be able to use iOS apps. 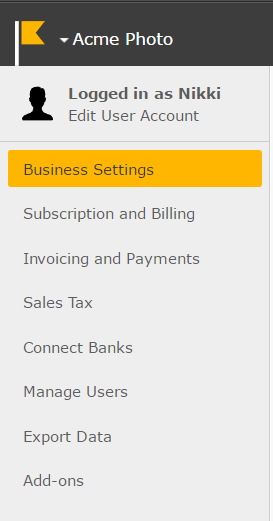 On the left-hand side click on Business Settings. 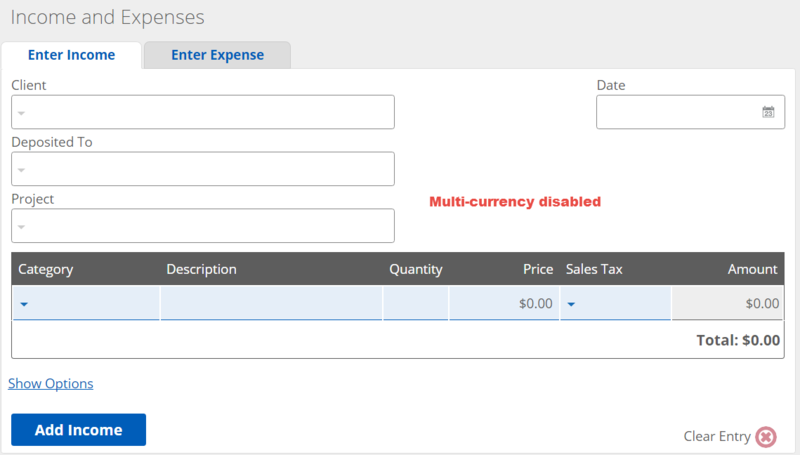 Tick the Enable Multi-Currency Support checkbox. Note: If you don't see this option, you're on a subscription plan that doesn't offer multi-currency. Please change your subscription plan or contact support for help. Note 2: If you can't change the toggle, it's probably because you don't have Creator/Admin privileges. Read about permissions here. What happens when multi-currency is disabled? Once you have enabled multi-currency and have recorded transactions in multiple currencies, disabling the feature doesn't change any of the multi-currency transactions already recorded. What it will do is hide the multi-currency fields, as seen below. What happens when multi-currency data is imported? If you import transactions through an add-on like FreshBooks or using the API, and those transactions are not in your home currency, they will be imported as multi-currency transactions, even if the feature is not enabled. What's the "Gain/Loss on Exchange" on the Income Statement?